Historically, offshore production offered a number of benefits: reduced construction costs, minimal regulation, and low labor prices. However, rising labor costs in China and Asia, coupled with higher shipping rates, are tipping the scales for many U.S. companies. Today, these businesses are making the decision to “reshore” or “nearshore” work formerly sent overseas because of domestic manufacturing advantages, including reduced risk, better quality control, faster speed to market, and a growing need for small, custom manufacturing runs. These factors are especially important for luxury industries like glass decoration. Meanwhile, among North American respondents to AlixPartner’s survey, 55% cited the U.S. as the most attractive nearshoring destination. This is an increase from 42% in last year’s survey, when the U.S. placed number one for the first time. Decisions about offshoring vs. reshoring require careful consideration. Here is a short list of hot-button issues facing the prestige glass and plastic decoration industry—and some things to contemplate as you decide where to place your business. Domestic production offers a faster speed to market. A fiercely competitive landscape often requires that brands and manufacturers expedite the development-to-market cycle. This is made more difficult with offshore manufacturing supply. With shrinking lead times and a need for faster response to consumer behavior, it may be time to take production stateside. The development cycle also runs more quickly with a domestic supply chain. With a local supplier, you can be on site for pre-production approvals, live production run reviews, and to help sort out quality concerns quickly. All of these local advantages help get your products on the shelves faster. Late-stage differentiation is another advantage only found with local manufacturing. When brands pre-position their long lead-time components, like glass, they can decide on a decoration style at nearly the last minute. 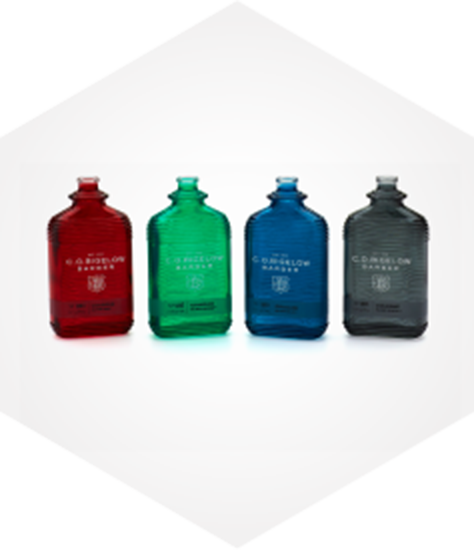 With most brands frequently reusing existing bottle forms, they just have to decide which artwork, label, or color the decorator should use for the glass and enjoy a much shorter lead time of weeks or days rather than months. This is a huge advantage when a brand wants to chase a successful sale with fast replenishment in order to retain retail momentum. U.S. production reduces risk, increases supply chain agility, and gives brands direct control over supply chain disruption. There are countless disruptions that can make a mess out of an overseas supply chain—from political instability to labor strikes and shipping delays. If you’ve spent six months in this industry, you’ve likely experienced one of these problems. Domestic brands have limited options for dealing with these problems when they are oceans away. By greatly reducing complexity, a U.S.-based supply chain removes most, if not all, of the major supply chain risk, and also provides alternatives for brands that have to adjust for domestic interruptions. For example, it’s much easier for brand quality reps to go onsite and help the manufacturer make on-the-spot quality decisions to get material out faster. Domestic production also prevents aggravating customs delays that are par for the course when receiving international goods. These are just two of many domestic sourcing advantages most industry veterans can rattle off. World-class quality and service is difficult to manage overseas. In our industry, quality and service are the top priorities. When you place an order for overseas glass decoration or other manufacturing services, quality and delivery challenges grow exponentially. Domestic sourcing allows customers to exert more control over product and service quality, from project creation to on-time delivery. If your order does not arrive or fails to meet your expectations, U.S.-based manufacturing and quality control teams make it right in hours or days—not weeks or months. Standards issued by the FDA, U.S. Department of Commerce, the U.S. Department of Agriculture, and the Consumer Product Safety Commission (CPSC) are higher than those of some supplier countries, and manufacturing practices differ broadly. Studies show that supply chain globalization increases product recalls, while domestic manufacturing often reduces the occurrence of quality and safety control problems. Decotech’s domestic manufacturing facility proudly serves the fragrance, cosmetic, spirit, tabletop, and giftware industries. Decotech’s USA-based turnkey glass management, decoration, and packaging services offer many proven advantages. As you weigh the pros and cons of offshore vs. domestic glass procurement and decoration, you will discover that Decotech is like no other glass procurement and decoration supplier in the world. We are North America’s premier domestic provider of prestige glass and plastic decoration, and our New Jersey-owned and operated facility proudly supplies clients with superior quality, American-made products. Click here to view some of our made-in-the-USA product samples, or dial 201.569.1900 x104 to contact our domestic glass and plastic decoration team today.